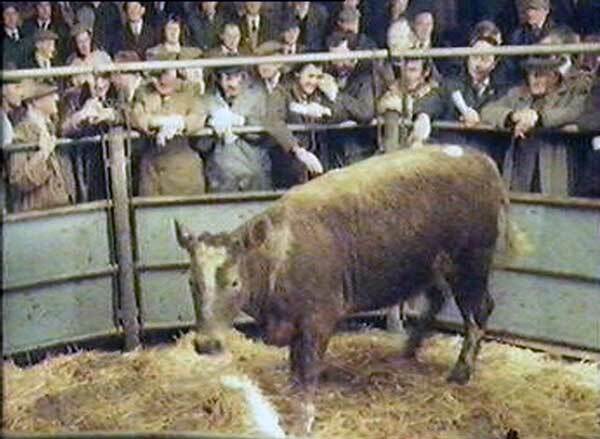 Launceston Livestock Market | Launceston Then! 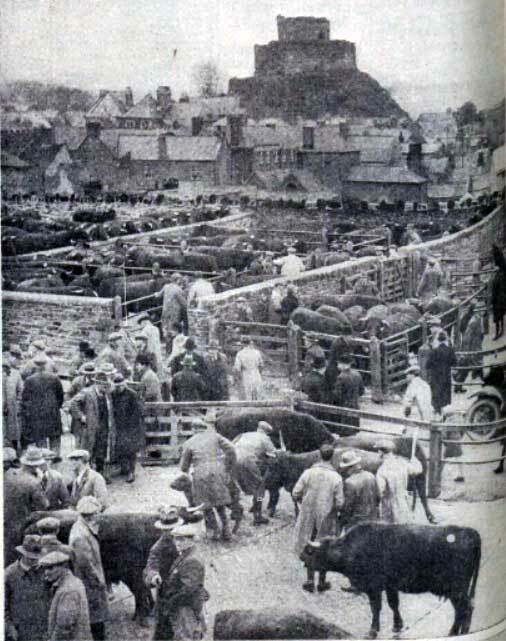 Before 1900, cattle were sold in the town square by the Butter Market (above left in 1895), but with the increase in trade a purpose built Cattle Market was opened in January 1900 on a three acre site just off Race Hill. It was designed by Otho Peter. The contract was commenced in January, 1899 by the contractor Mr. E. Sharland, of Launceston. 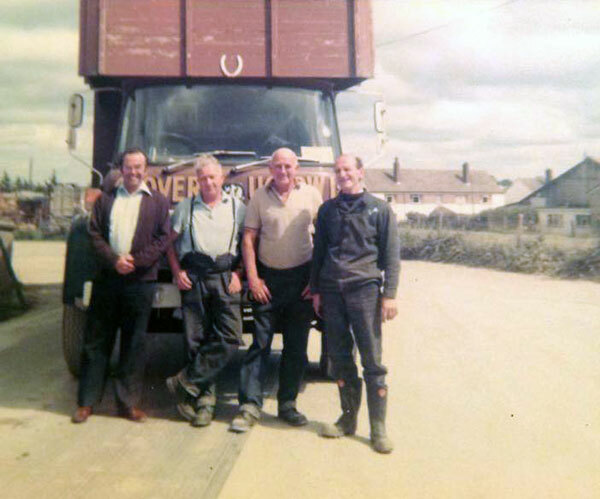 The total cost, including purchase of the site, was about £3,000. 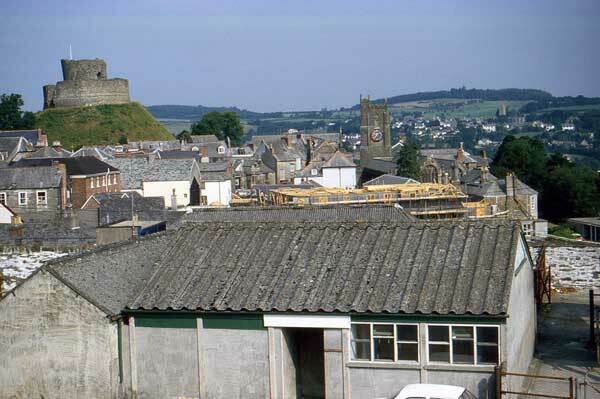 It being impossible to find a level spot near the town, the Town Council had to form the market on the side of Race Hill, which, in fact necessitated extensive excavations and the construction of the market on three different levels, one above the other. The principal entrance to each market place was from Race Hill, and there was another large entrance from Exeter Road opposite Mr Cook’s Stores (Prouts Corner) which formed the easiest route to and from the railway station. The market yard at the lowest level was nearly half-an-acre in extent. In the yard were commodious sheds for both cattle and pigs, and a ‘hepping stock’ where calves and pigs were easily unloaded from carts. Attached to the markets were sanitary offices. The upper part of the yard initially was used for shows, etc. 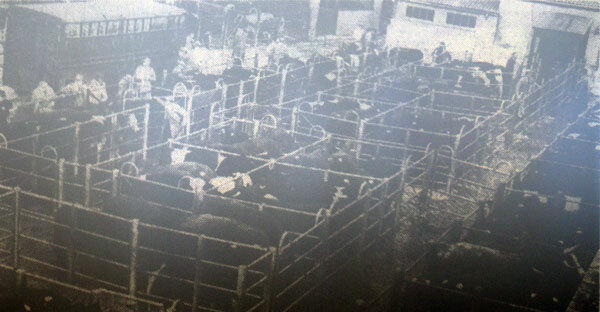 On the middle level is the cattle market proper, covering one acre of ground. 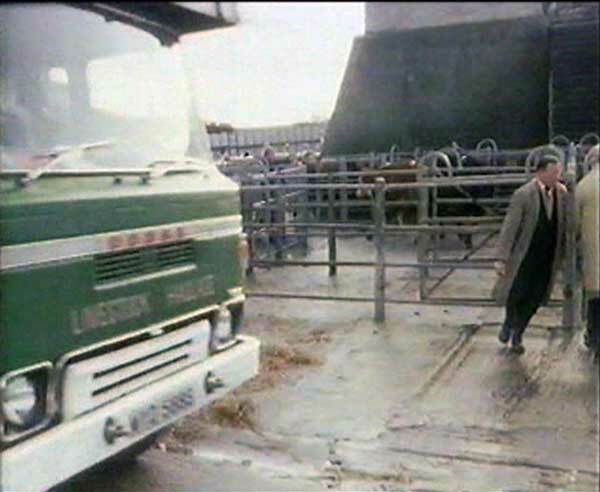 It had a wide central roadway, with compartments on each side of it, divided by low stone walls, in which about 800 cattle could be stood and seen to advantage. 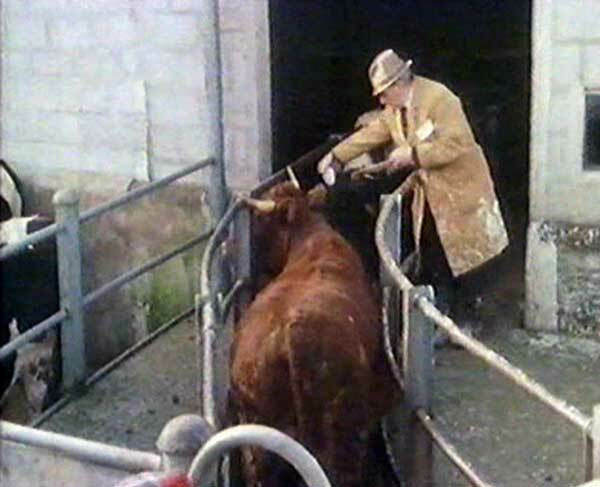 A raised gangway ran around the compartments on the left of the roadway, from which a good view of the market and the backs of the cattle was obtained. Both central roadway and the cattle stands were paved with tarred macadam. 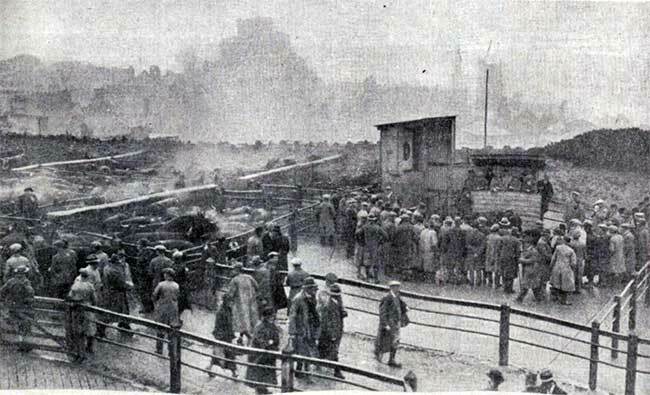 At the eastern end of the cattle divisions was a space intended for horse-boxes and auction stands, as well as a weighbridge. 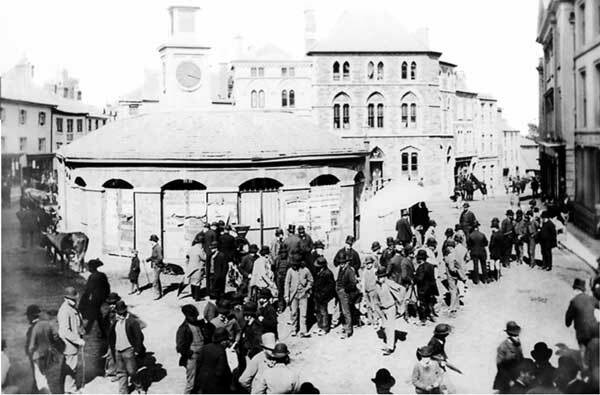 Close by the Race Hill entrance to the market was a toll-box, exchange rooms, and an open shed for the accommodation of those who were attending the markets. 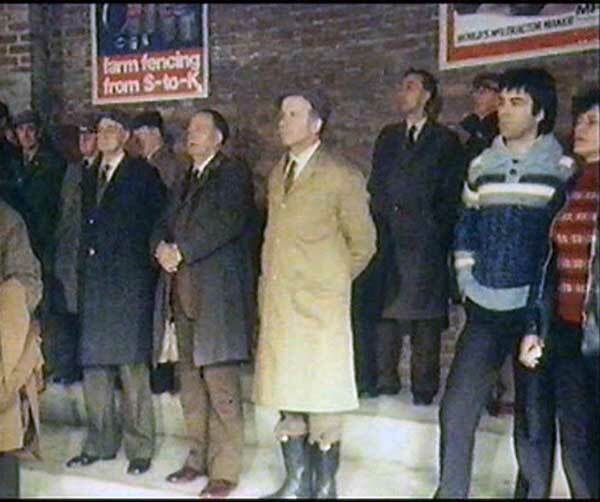 On the third, or highest level, was the sheep market, with pens for almost 2,000 sheep. The sheep pens were of a strong make and fitted with sliding gates, and the spaces within them, and the paths between were of tar and pitch macadamed. A Shelter shed was also provided for this market. Adjoining the markets on the east was a field through which roads passed to the Exeter Street entrance, the whole area of the market site is a little over three acres. 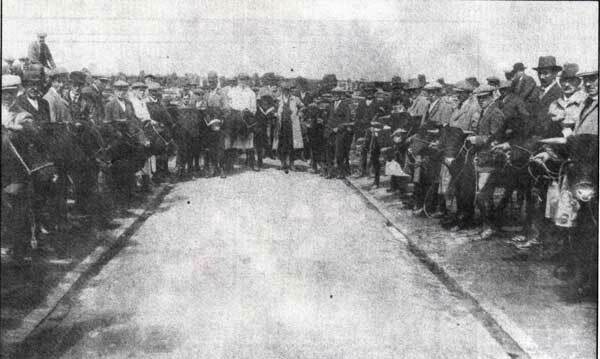 The opening of the Cattle Market in Race Hill on January 30th 1900. 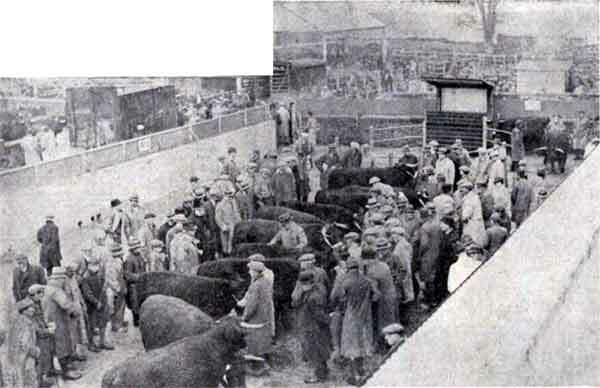 The new cattle market was duly opened on Tuesday 30th January, 1900, at 11 am, by Mayor James Treleaven and for the next 45 years was held fortnightly, changing to a weekly market in 1945. 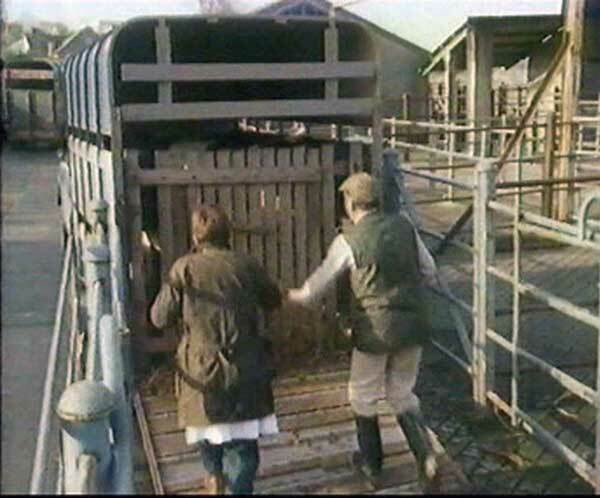 With the three main entrances being on Race Hill and a forth onto Exeter Road, it was easier to drive the animals around the edge of the town to reach the Railway Station, instead of as previously through the town centre itself. 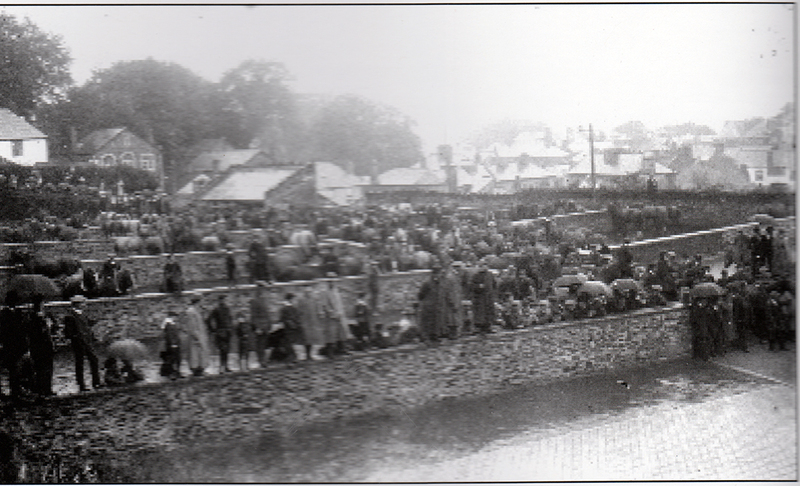 With the new Markets opening there was a change in the day, previously the market had been held on the last Wednesday of each month but from January 1900 the last Tuesday of each month became ‘Market Day’, and Tuesdays from then on for anyone from Lanson has always been ‘Market Day. The Market began to increase over the years and even the two World Wars did nothing to halt the Markets progression. In 1957 the market was partially covered as a result of it becoming an attested market (see below left). Up to the 1960’s the pig market was held on what was to become the Pannier Market, but with a total refurbishment of the Market in 1962, this moved to a purpose built area adjacent to the sheep market on the third level. 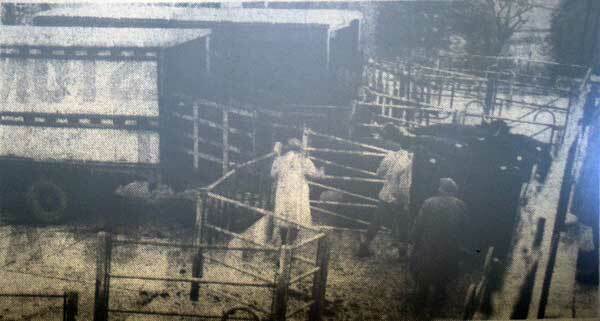 At the same time a new covered selling area was constructed for the cattle as well as a market cafe (below). 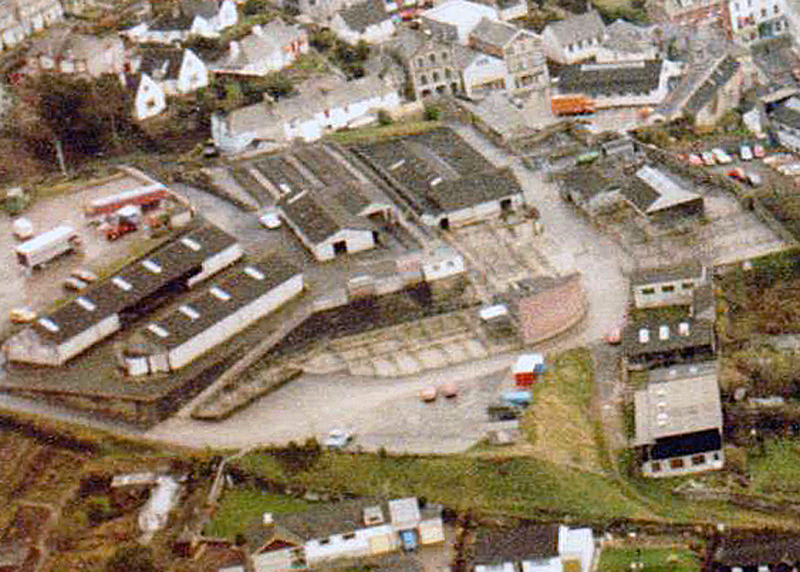 The Pannier Market was built around the framework of the former pig buildings, with concrete walls built in to form the new premises. 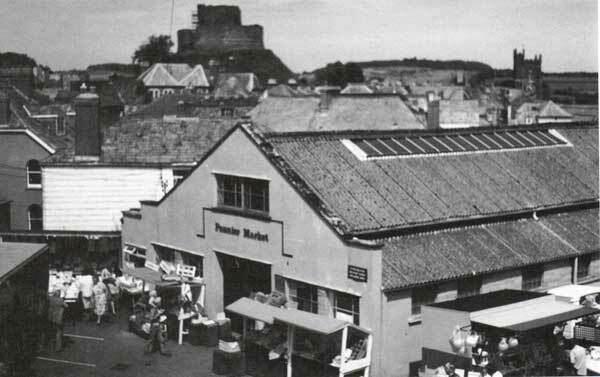 The Pannier Market opened in March 1962. 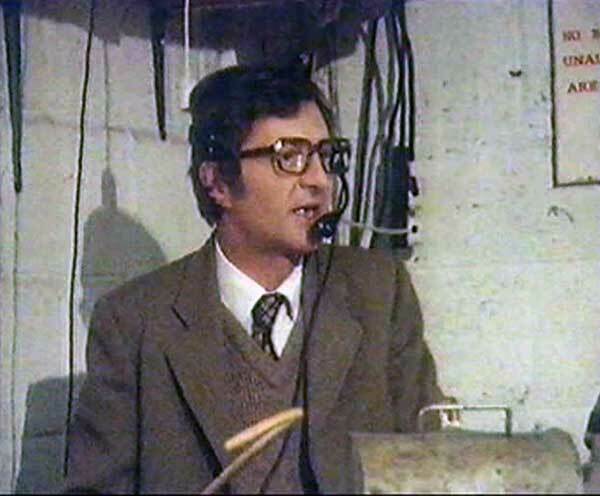 The one area that always struggled was the sheep sales which were always small compared to the cattle and pig markets and in the later years were non existent. However the latter two remained healthy. 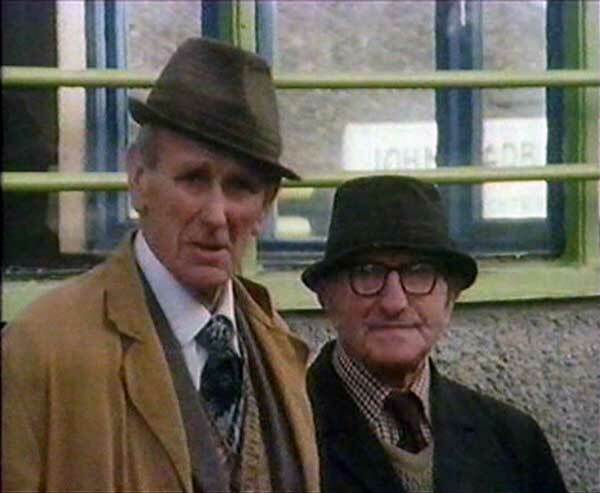 The highlight of the year was St. Leonard’s Fair day which was traditionally held on the last market day of November and was when accounts were usually settled in the early days. 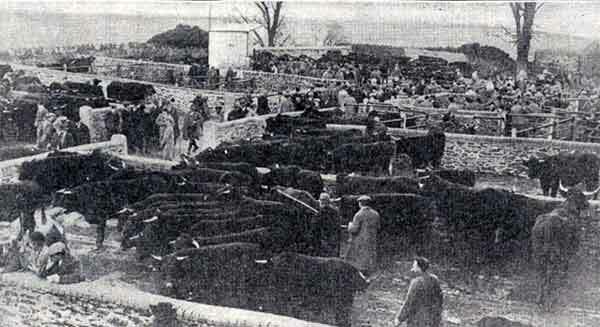 However, as times changed the markets position in Race Hill meant it was increasingly becoming more difficult for the larger cattle transporters to gain access. 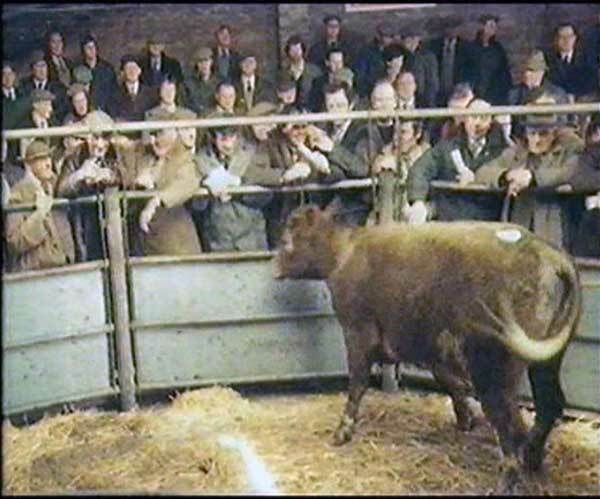 There was also a discernible change in the way that livestock was being traded and this, along with a growing lack of enthusiasm from the auctioneers for the market, led to a gradual decline in sales during the 1980’s. With the inevitable the market was closed after 91 years, in 1991 binging an end to centuries of livestock sales in the town. 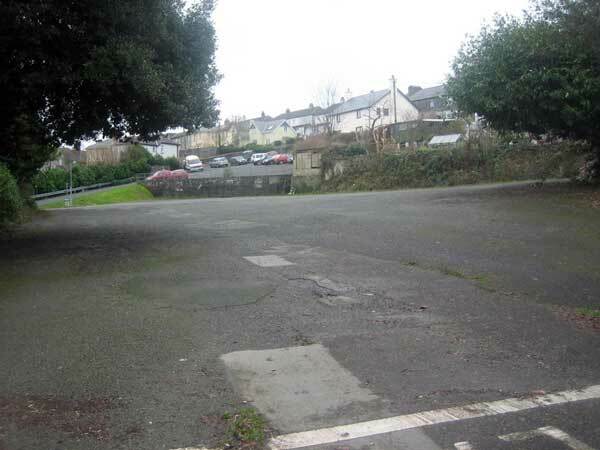 The top market car park has now been developed into residential housing, now Fairfield Close (below) and the rest of the site is now a Cornwall council run car park, although there are plans to sell off the land for retail use. Launceston Fatstock Show prizewinner's proudly shows off their beast in Southgate Place. 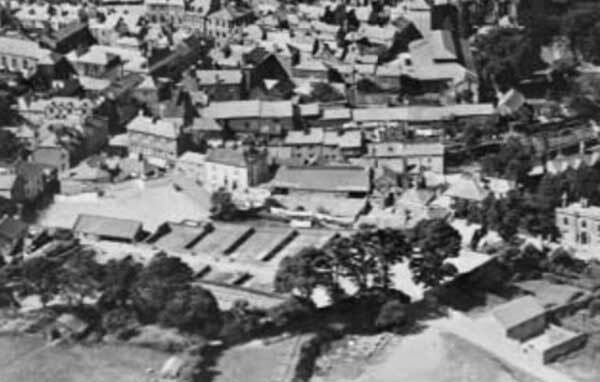 An aerial view of the market from 1928. 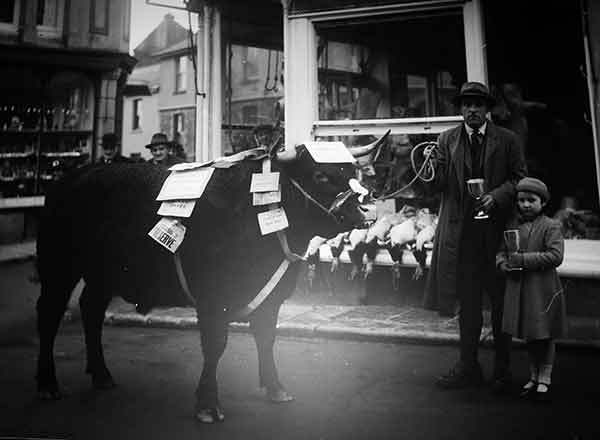 Launceston Fatstock Show prize winner Mr. Clemo in 1925. 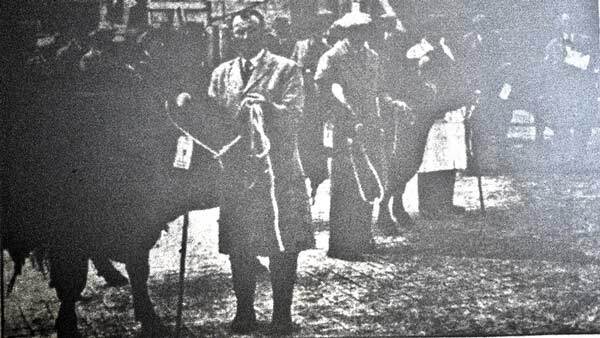 Launceston Fatstock Show from the 1930's. 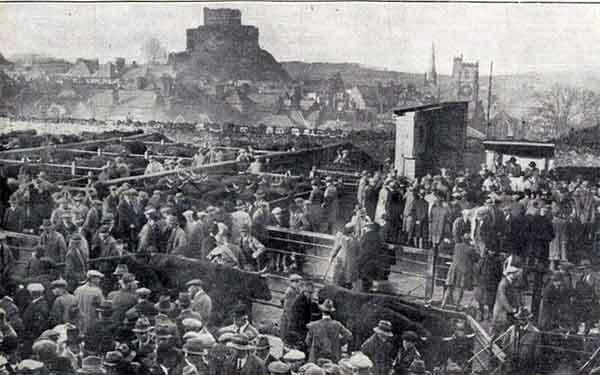 St. Leonards Fair November 1931. 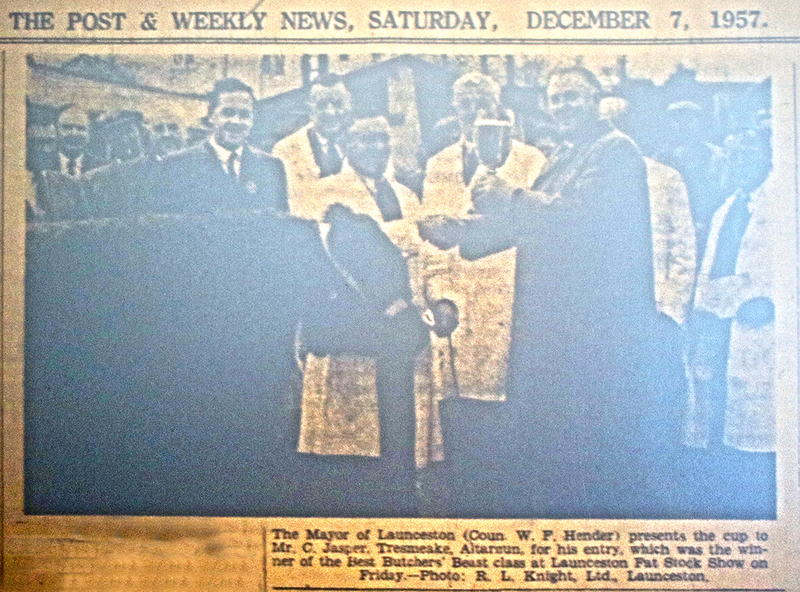 Launceston Christmas Fatstock Show in November 1934. 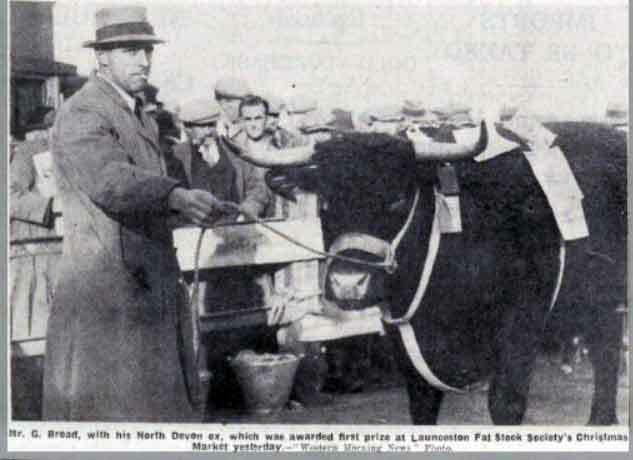 Mr. G. Broad with his prizewinning bull at the 1936 Launceston Fatstock Christmas Show. 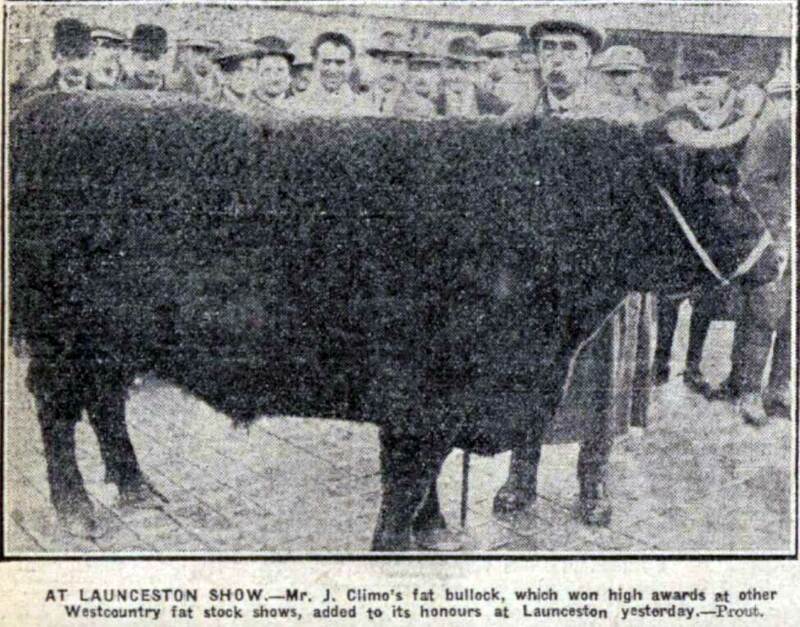 Launceston Fatstock Show from 1937. 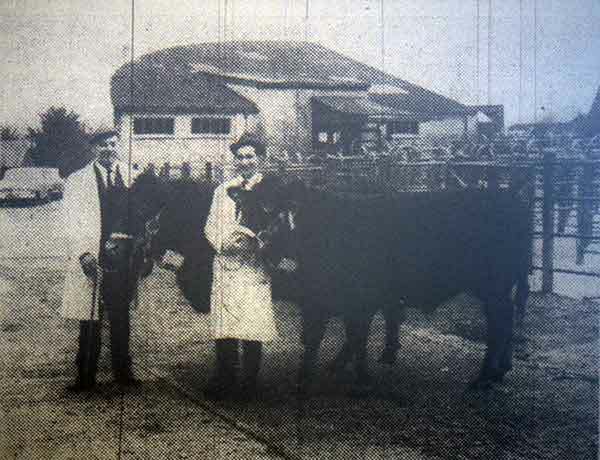 Launceston Cattle Market attestation in 1957. 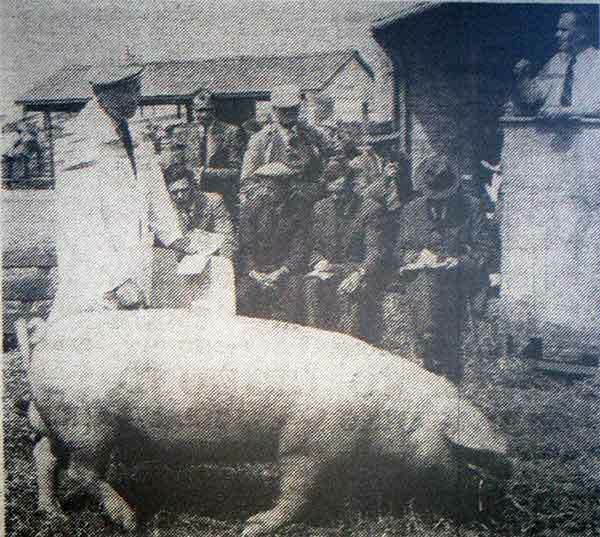 Cornwall and Devon pig breeders association spring show and sale at Launceston Livestock Market in 1958. 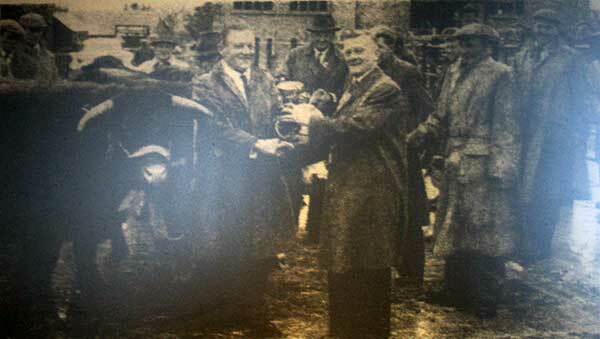 Mr. C. Jasper of Altarnun being presented with his prize cup by the Myor W. Adams at the 1961 Launceston Fatstock Show. 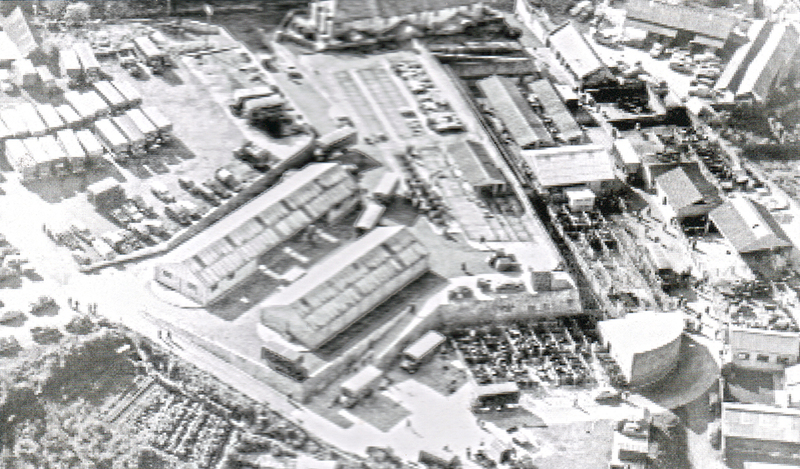 Aerial of Launceston Cattle Market c.1965. 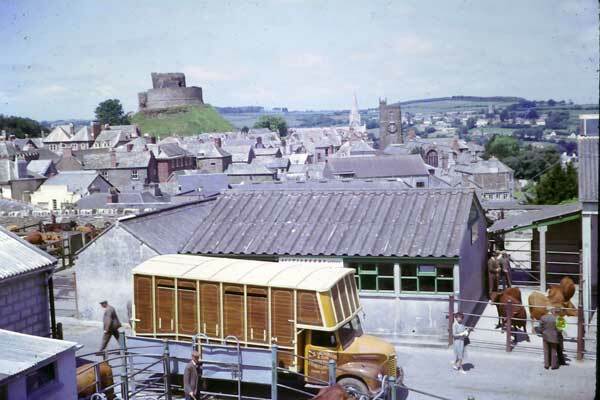 Launceston Cattle Market in 1963. 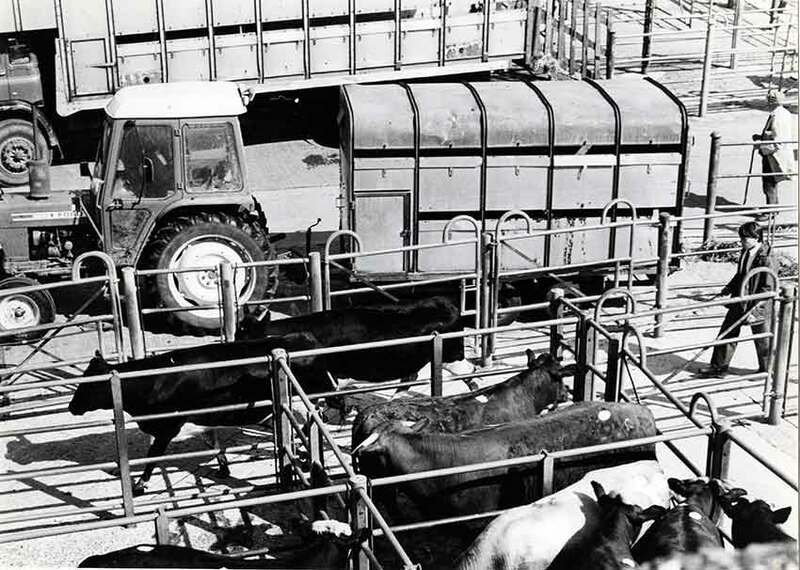 Launceston Cattle Market in November 1963. 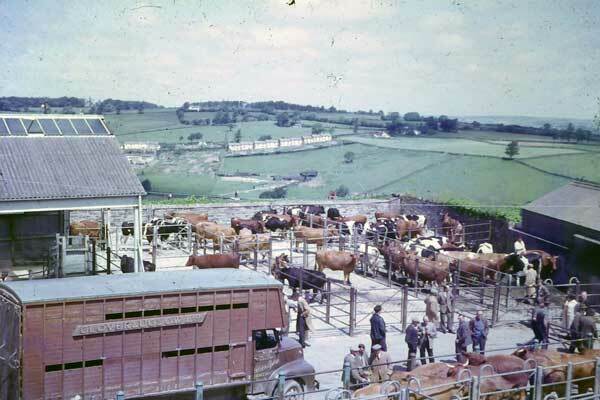 Launceston Cattle Market in 1963. Photo courtesy of Chris Gynn. 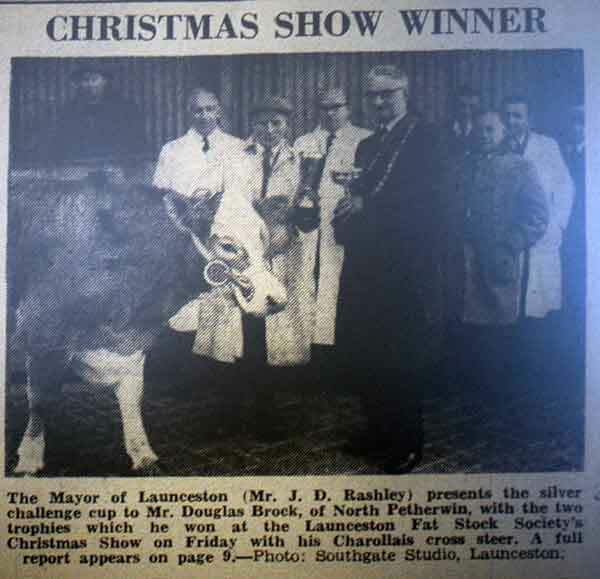 Seth Davey and Bernard Tucker with their prizewinning cattle at the 1968 Launceston Christmas Fatstock Show. 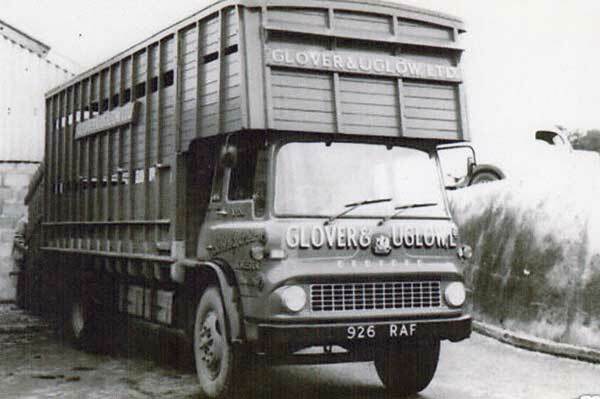 Glover and Uglow in 1976. 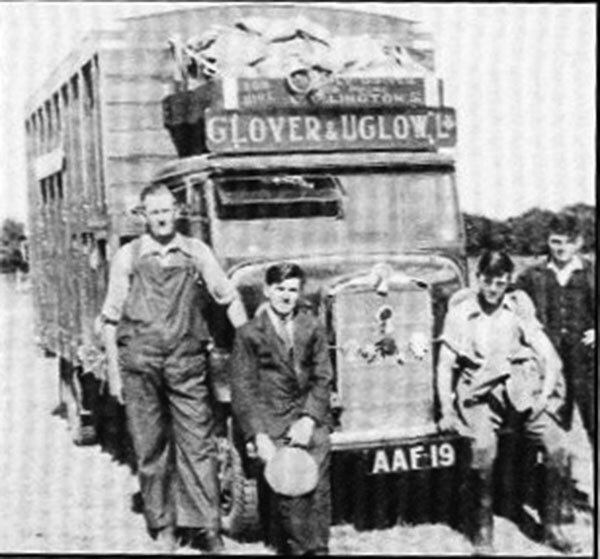 Glover and Uglow loading up from the pig stalls. 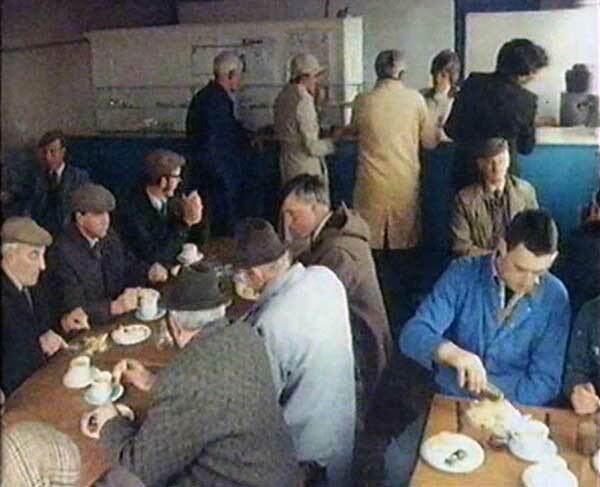 Launceston Cattle Market in the early 1980's. Launceston pannier Market which was built upon the old Pig Market. Photo courtesy of John Neale. 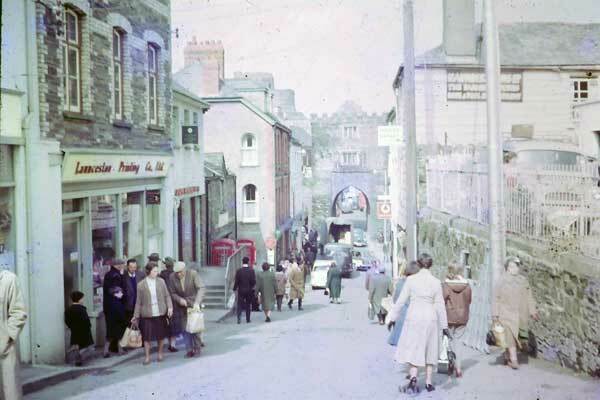 Race Hill on a Market day in 1963. Photo Chris Gynn.